The 1970s Diet: Catch Up! Its been ages since my last blog post. Sorry Pam! It has taken me an absolute age to get back into the swing of things. I have hardly exercised because I have slight pain in my left knee but appreciate that if I shifted a few stone then that would help it. I'm just don't want to damage it running so with an attempt to re-focus my mind I had a swedish massage, indian head massage and foot massage last Friday. It was bliss. Any excuse eh? Although the lady did say when was the last time you had a massage and I'm pretty sure it was in 2009 for my hen do. So hardly a regular treat is it? I could get used to it though. I have to say I highly recommend a foot massage it is divine. I do love a facial too (don't even go there) but I think the foot massage tops it. Actually the swedish massage did feel great on my knees etc. I also went to a yoga combined with pilates class. I had a leaflet drop through my door about yoga classes (I've done pilates before but never the yoga and not the two combined) so I thought what the heck I'd give it a go. 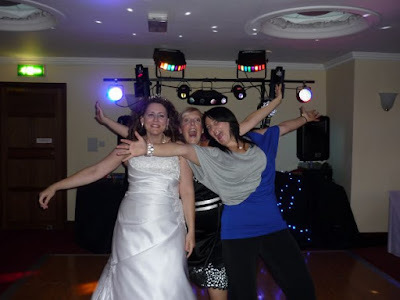 So, last Tuesday I trotted on over to an undisclosed (to you all) location near me and waited with 5 other ladies all about 15 years older than me! They took an age to start as they were all gassing away. I did think mmmm this isn't for me. Not because they weren't lovely and friendly but I like to get going with exercise and I suppose that's why I like running and cycling so much 1) its free 2) you can get it all done in an hour. If you go to the gym you have to drive, change, wait for the class, drive home, shower and whilst the class maybe an hour the whole 'exercising' takes about 2 hours. Anyhow, the studio was in her basement and she was a very good teacher and told me I had a hollow back. All the moves were gentle but challenging if that makes sense and my bum did ache for 3 days after. Having said this I really don't think its for me. I will probably dig out my pilates dvd rather than spend that amount of time going to someone else. Since starting to write this last week, I have indeed dusted down my pilates DVD - I've just done the 10 minutes quick workout. Yesterday I went for jog/walk which was for 2 miles. It was okay but still I could feel twinging in my knee. I really don't think its great for it. So I'm trying to combine other things at the moment. As the weather is so glorious I'm going to take my bike out after drop off and see how that feels. By all accounts cycling can strengthen your knees. I do like jogging but I really don't see how people don't get injured by it all. I've also virtually dusted down myfitnesspal. I love the autumn and I'm raring to go. My weight is the same as it was before I started the summer hols - so no losses no gains. In other news, what do you reckon upon the colouring in books for adults? Well, I'll tell you what I think - how bloody more infantile can we get? 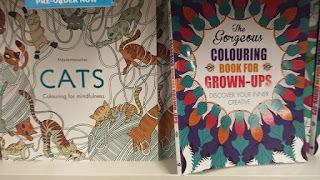 Seriously, colouring in books? Oh for the love of god. I read an excellent article in the paper written by a man who works with twenty somethings - they don't think they can be classified as an adult until age 29! He talked about adults riding scooters and other childish forms of transport. Seriously. I was 18 when I started work full-time, had moved out of home and by the time I was 23 had a mortgage. Granted, its bloody hard to get a mortgage these days but I was well and truly working the washing machine and weekly shop by age 20. So that's what I think of colouring in books for twats. I think I'll write a book called "how to be a grown up by an adult". What do you think? Twitter had me laughing with David Cameron and #piggate. The people of twitter I salute you some really funny stuff out there. Here's a cracker. 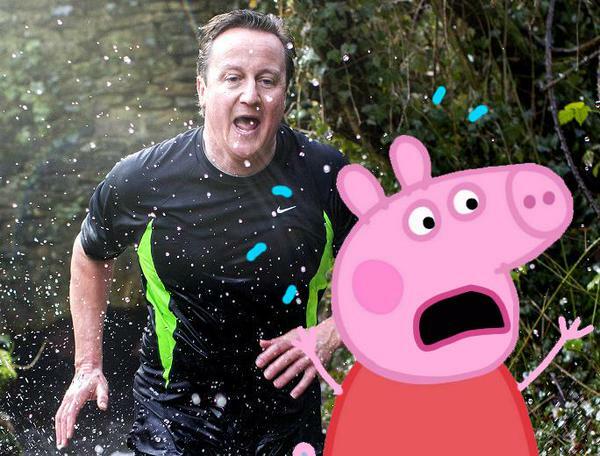 Peppa Pig running for her life! Facebook is crap as ever and yet still I remain on it? Every now and then something good does pop up and this would be it for me. Yarp in a nutshell I'd say. 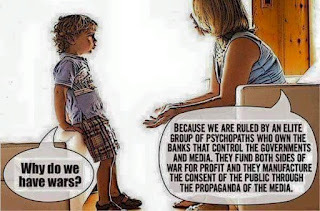 War is profitable. Britain has never really stopped being at war not since I've been alive (or before that) - Northern Ireland, Falklands, Iraq and soon to be Syria. Governments need their people to live in fear. This is how you control people. Wars don't affect people at the top. They all need you running scared (see above!) and on their side to start a war. Why? Because it will be your child that does the fighting. Then they can remain in the life they are accustomed to. You need your people to be uneducated so they don't figure this stuff out. This sums it up so much better then I can. I also had the misfortune to watch the BBC programme Longleat. If ever there was a reason to become a republic this programme is it. At one point, phlebs aka the general public were allowed to go into the living quarters of the stately home to look at their furniture. This is so they can avoid paying tax. We can get to have a look at all their stuff. Stop this maddness!!!!!!! And finally, I have a guilty pleasure and is about as low brow as you can go. I just love the tv programme "say yes to the dress" on TLC. Its essentially women trying on wedding gowns and when they've picked it they say "yes to the dress". If I put it on, I can't stop watching. Please send help. I then looked at my knock off Maggie Sottero gown that I had for my wedding and think mmmm maybe should have got the real thing. 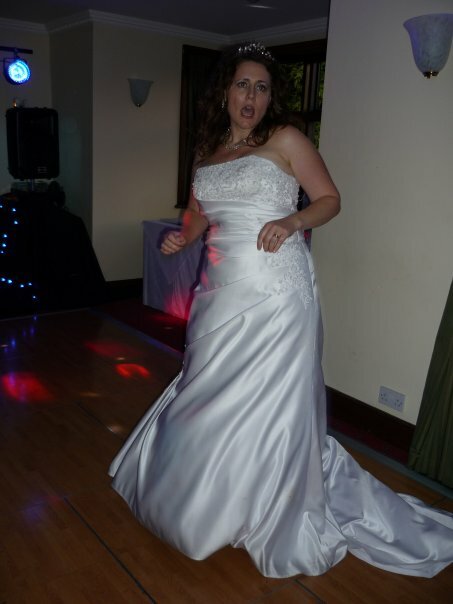 Or a different gown entirely My daughter did make the comment "well yours didn't really have the wow factor did it". Again, someone stop me watching this programme!